Press Genepy’s aim is to present the printing of the 17th century. So why not call her, for example, Hampden Press, or Ye Olde Press, or Coranto Press, or Leveller Press? Or something else that evokes the era? Aren’t you supposed to choose a name for your business that tells the world what you’re about? First rule broken before I even start…naming my printing press after an alcoholic drink. Hopeless! Well. Hand presses have been around for just over 500 years; fine art presses for just over 150. Not that I’m claiming to be a fine art press mind..though one can aspire.. The fact is that with the names, a lot of people have got there first. A quick google can tell you that. There’s a convention that if someone has picked a name for their press once, even if they’re long gone, you can’t take it again. A bit like rock bands perhaps. Secondly, when it comes to business nous, the idea of my press making my fortune is far fetched in the extreme. I can hear the dragons laughing! So I think I can take the leisure to choose a name that is special to me, and that gives me good memories of a wonderful place and time. Genepy is a spirit, prepared in Alpine areas and imbued with the aroma of mountain flowers and herbs. It was given to us to sample by the owner of a hotel that we found and stayed in by chance one year in the Val d’Aosta. It was evocative of the whole experience; his genuine warmth and the welcome we encountered; the silence and majesty of the mountains and the beauty everywhere we looked. If ever I feel stressed, the thought of that journey is an escape and a restoration to calm . Some day we will return! But in the meantime let’s try to find joy in our daily lives even if the sky is grey, not blue. And Press Genepy is part of that. Not business minded, but life enhancing. Seems like a good choice to me. 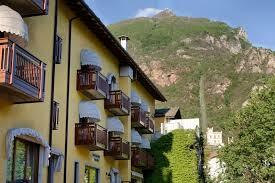 By the way, the town in the Val d’Aosta is called Pont St Martin and the hotel is the Hotel Crabun.